Tubal reversal cost is on all of our clients’ minds. We understand why it’s front of mind. The cost of the procedure can vary from doctor to doctor. The method you choose to have your tubal reversal can also change the cost. And most importantly, cost can be a determining factor in whether or not you decide to have a tubal reversal. 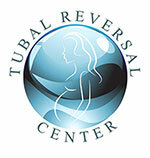 Tubal Reversal Center patients often want to boost their fertility. Our Fertility Boost series is designed for just that. This week we’re covering caffeine.